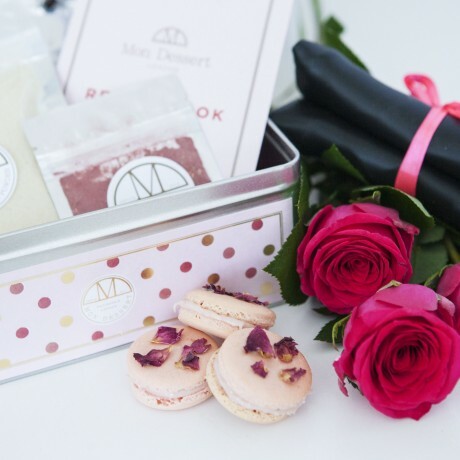 Make beautiful macarons at home with this Framboise Rose Edition Macaron Making Kit. 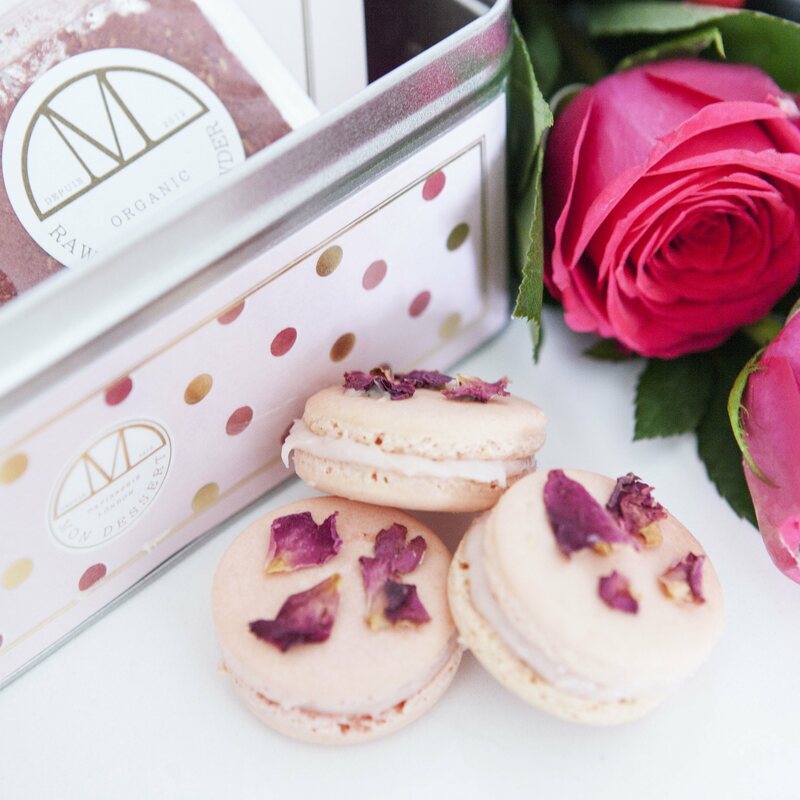 This kit makes approximately 24 raspberry macarons that you can decorate to your hearts content with Damask rose petals. 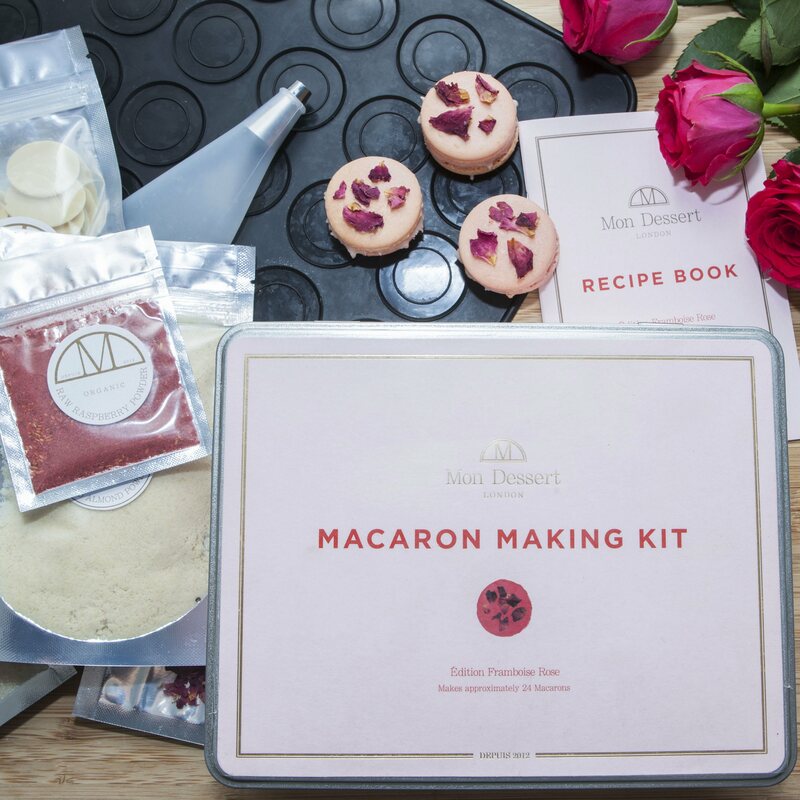 This is truly the first macaron making kit of its kind. Housed in a sumptuously embellished tin, it is the perfect gift item and a must have item for any budding patissier. 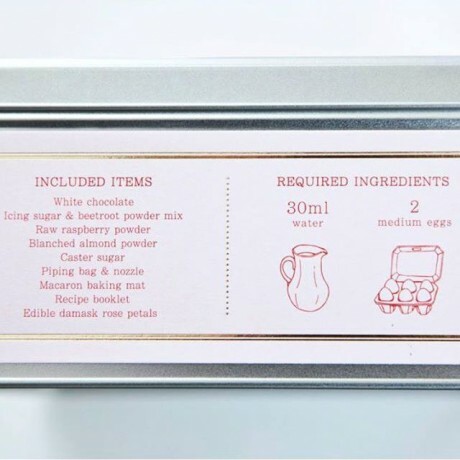 You will find it a joy to unwrap the inside contents which will provide you everything you need to make macarons. 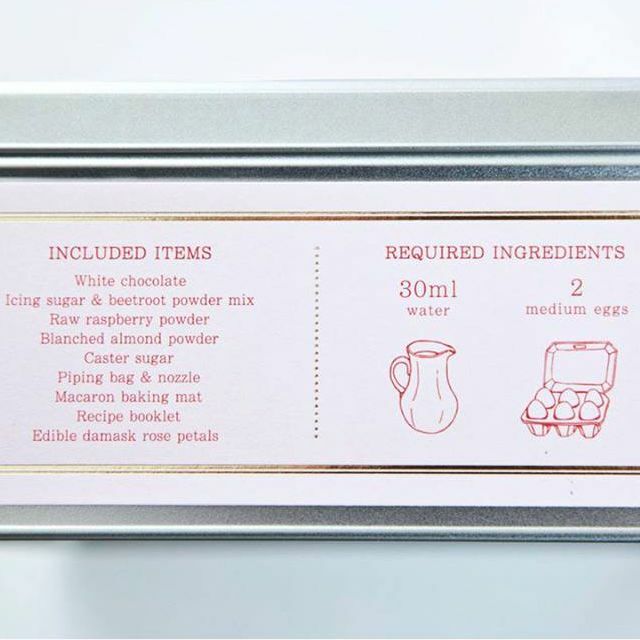 But to really help to create these fashionable treats is a beautifully illustrated recipe book. Contains organic and gluten-free ingredients. 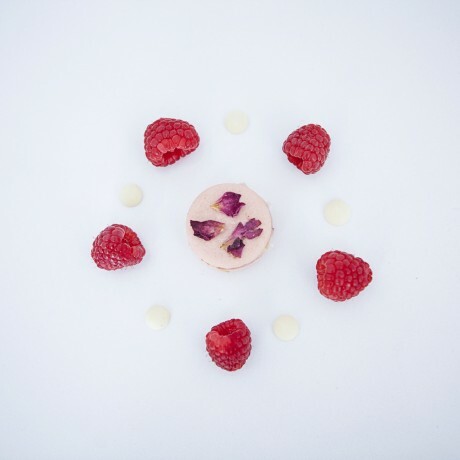 They kept it simple so the only ingredients you need to add are egg whites and water. Alternatively, if you are vegan, you can substitute the egg whites with Aquafaba.